Our marriage law guide breaks down each state’s laws for engaged couples such as age requirement, license expiration time, state residency and more. It's important that you and your partner looking into your state's marriage laws and obtain a license well before the big day. Each state has certain laws in place that must be followed in order for couples to get properly married. This will ensure that everything runs smoothly on the big day and no major hiccups occur. This is especially important if you and your spouse are planning on changing your last name post-wedding. So, are you trying to find the marriage laws for your state and need some help? We've got you covered! We’ve gathered all of the marriage law information you need to make your life easier. From the proper photo identification that's needed to how many witnesses need to present, we cover it all. 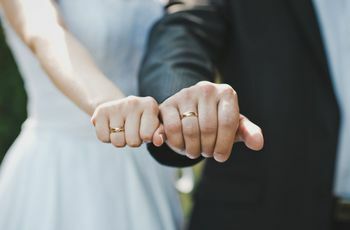 Check out these marriage laws by state to ensure that all the necessary requirements are taken care well before the big day. 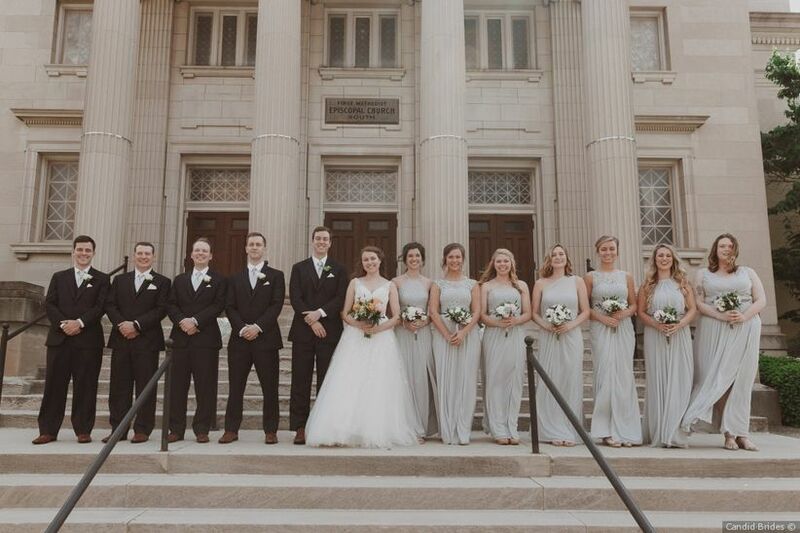 Whether you’re getting married in Birmingham or in a more rural part of the state, there’s so much to love about Alabama weddings. In terms of legally marrying in Alabama, it’s pretty simple—there’s no waiting period, but marriage licenses are only valid for 30 days. Identification Needed: If you are 19 years of age or older, you must bring one of the following: a valid driver’s license, non-driver’s license, passport, birth certificate, military identification, or school record. State Residency: You do not have to be a resident of Alabama. Although in some counties nonresidents are required to wait three days before they are able to have a wedding ceremony performed by a county marriage official. Age Requirement: You must be 16 with parental or legal guardian consent to be married and 18 to be married without parental or legal guardian consent. License Expiration: The license will expire 30 days after it has been issued. Required Wait Time: There is no wait time in Alabama between applying and receiving a marriage license. 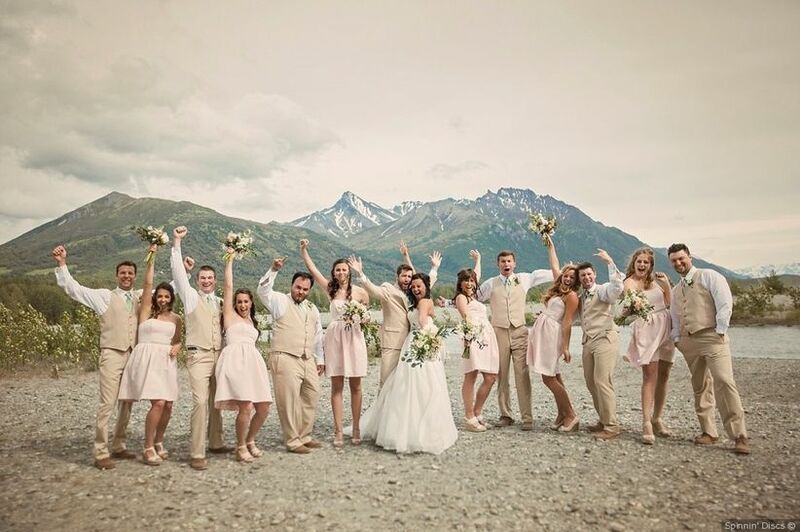 Alaska is among the most scenic states in the country to host a magical wedding—and it's ideal for destination weddings as you don’t have to be a state resident to receive an Alaska marriage license. However, if you’re hosting an Alaska destination wedding, you do need to arrive a few days early as there is a three-day waiting period between receiving your marriage license and when you can actually wed. Identification Needed: A picture ID or driver’s license is required and a birth certificate may be required to show proof of age. State Residency: You do not have to be a resident of Alaska to receive a marriage license. Age Requirement: Both parties must be 18 years old. License Expiration: The license will expire in three months. Required Wait Time: You will need to wait three business days before receiving your marriage license. Witnesses Needed: Yes. Two witnesses must be present at the ceremony. 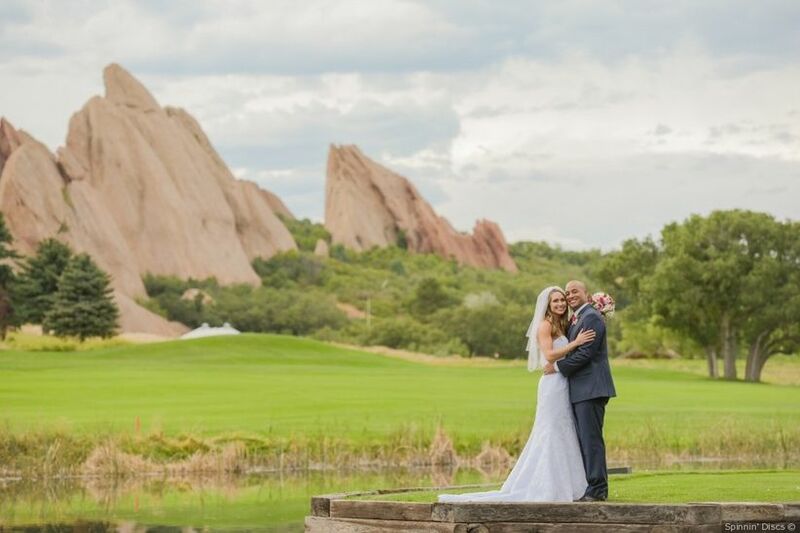 Hosting an Arizona wedding with the incredible desert scenery as your backdrop? It’s a relatively easy state to marry in, with no waiting period between receiving your marriage license and the wedding, and marriage licenses are valid for 12 months. 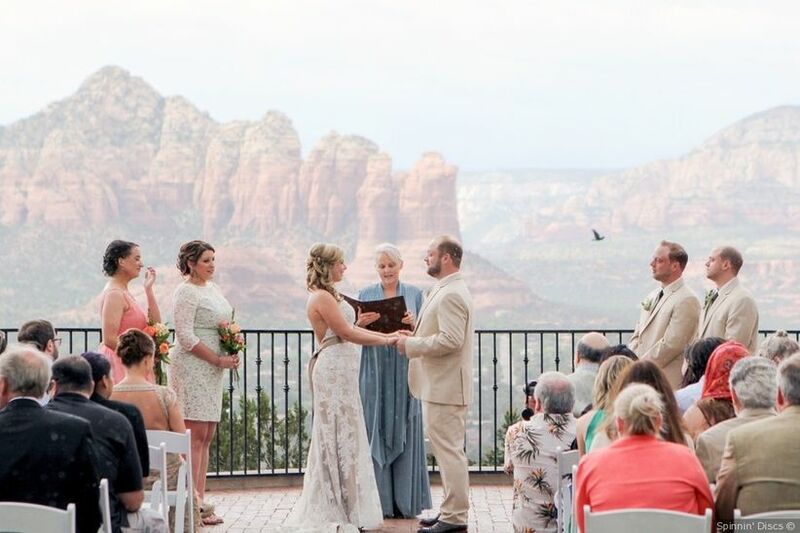 And if you’re on a budget, weddings in Arizona average at around $23,000, well below the nearly $30,000 national average. Identification Needed: Both parties will need a valid government-issued photo ID (i.e. driver’s license, passport, etc). State Residency: State residency is not required for a marriage license. Age Requirement: Court and parental/guardian consent is required for individuals under the age of 18. The legal age requirement to get married without parental consent is 18. License Expiration: The marriage license will be valid up to 12 months. Required Wait Time: There is no waiting time. From Little Rock to Fayetteville, Fort Smith to Jonesboro, there are lots of places to marry in The Natural State. And because there’s no waiting period (for couples over 18) and marriage licenses are valid for 60 days, it’s pretty easy to plan an Arkansas wedding. Identification Needed: A legal and valid government issued ID is required to receive marriage license. State Residency: State residency is not required. A marriage license from Arkansas can be used anywhere in the state. Age Requirement: For those under 18, parental consent is required along with a 5 day mandatory wait period. Both parties must be 18 years or older to get married without parental consent. License Expiration: An Arkansas marriage license is valid for 60 days. Required Wait Time: None if both parties are over 18. 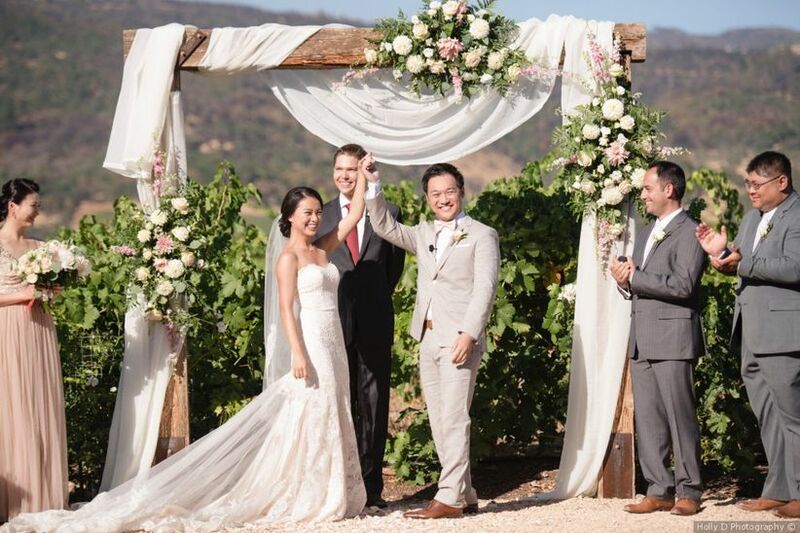 Whether you’re hosting a vineyard wedding in Napa Valley or Santa Barbara or a laid-back, boho beach wedding in the San Diego or LA area, there are so many incredible locations to choose from when planning a California wedding. Not surprisingly, perhaps, the major cities in California, like Los Angeles and San Francisco, are among the priciest places in the country to host a wedding, but more rural spots in the state can be more affordable. Identification Needed: Both parties must bring in a valid ID (i.e. driver’s license, military ID, passport, or green card, etc). State Residency: You don’t need to be a resident of California to receive a marriage license. Age Requirement: Both parties must be at or over the age of 18 to be married without parental consent. License Expiration: The marriage license will expire 90 days after it has been issued. Required Wait Time: There is no required wait time. You will receive the license the same day you submit the application. Witnesses Needed: A California marriage license requires the signature of one witness but has the space for up to two. 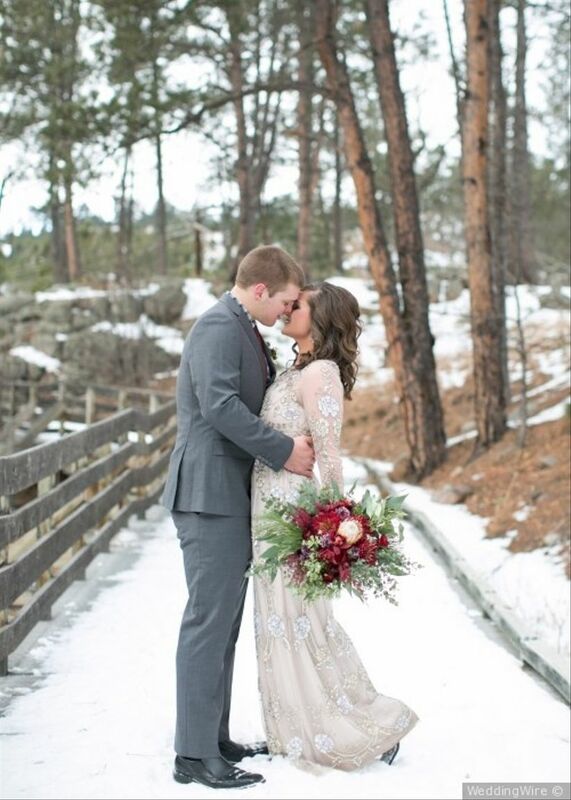 The stunning mountain scenery of Colorado makes it a unique and extra-special place to host a wedding. Colorado weddings average about $28,000, coming in a bit below the national average. And as a state that’s growing in popularity as a destination wedding locale, you don’t have to be a resident of the state to receive a marriage license for your Colorado wedding. Identification Needed: Each partner will need to bring identifcation with photo, and issue date, and expiration date. State Residency: You do not need to be a resident of the state. Age Requirement: Both individuals must be 18 or older to be married without parental consent. Between the ages of 16 and 17, both parties must have a notarized parental consent form and for individuals under 15, a court order is required. License Expiration: The license is valid for 35 and must be returned for recording within 63 days. Required Wait Time: There is no wait time required. Proxy Marriages Legal: Yes, but only if one party is unable to be present due to illness or they are out of the state. 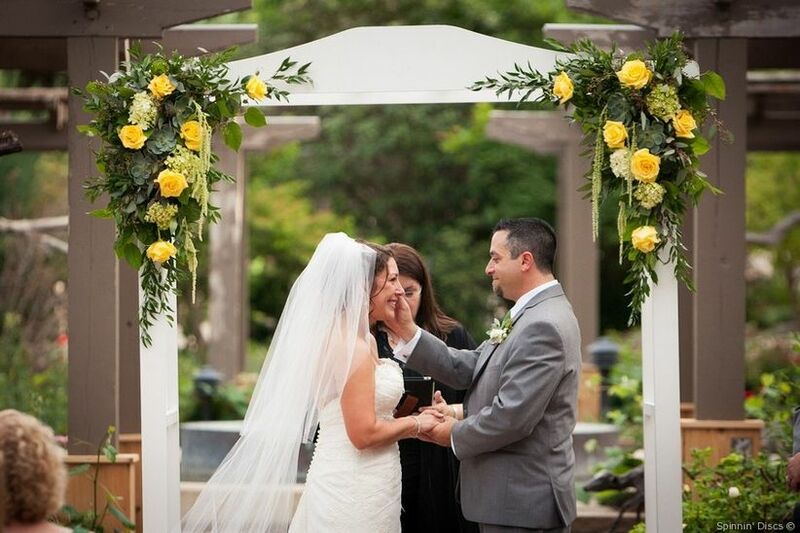 If you’re looking for convenience and charm, then a Connecticut wedding may be right for you. From rustic barns to classic ballrooms and waterfront event spaces, this New England state has lots of scenic and unique venues to choose from. Identification Needed: You will need a valid driver’s license, passport, military ID, or green card, as well as, social security numbers (if applicable). You should also know your officiant’s name, phone number, and address along with the ceremony location. State Residency: You do not need to be a resident to receive a marriage license, but you do need to apply either in the town where one applicant lives or the town where you plan on getting married. Age Requirement: Both members must be 18 or older to be married without parental consent. Individuals under 18 must have a parent or legal guardian present or have obtained written consent. License Expiration: The marriage license will expire in 65 days. Required Wait Time: There is no wait time. Witnesses Needed: Witnesses are not required. Delaware may be the second-smallest state in the U.S., but it looms large when it comes to incredible weddings. 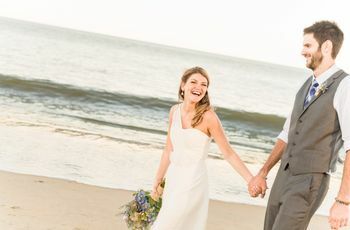 The proximity to the beaches of Rehoboth and Dewey, as well as the major cities of Philadelphia and Baltimore, make Delaware weddings truly special. Identification Needed: Photo identification, such as a driver’s license, passport, military ID, US visa, or government consulate ID. State Residency: You don’t need to be a state resident. Age Requirement: You must be at least 18 years old to get married. If you are under 18 you are considered a minor and must petition the Family Court in order to marry. License Expiration: The license will expire in 30 days. Required Wait Time: There is a 24 hour wait period from the time of application. Witnesses Needed: Two witnesses, at least 18 years of age, are required at the time of the ceremony. 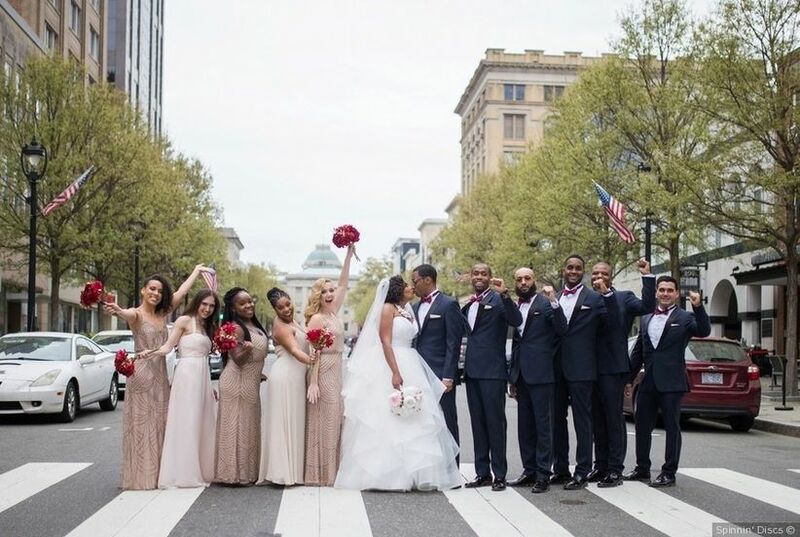 Our nation’s capital is a great place to get married—and it’s not just because of the incredible photo ops among the monuments! 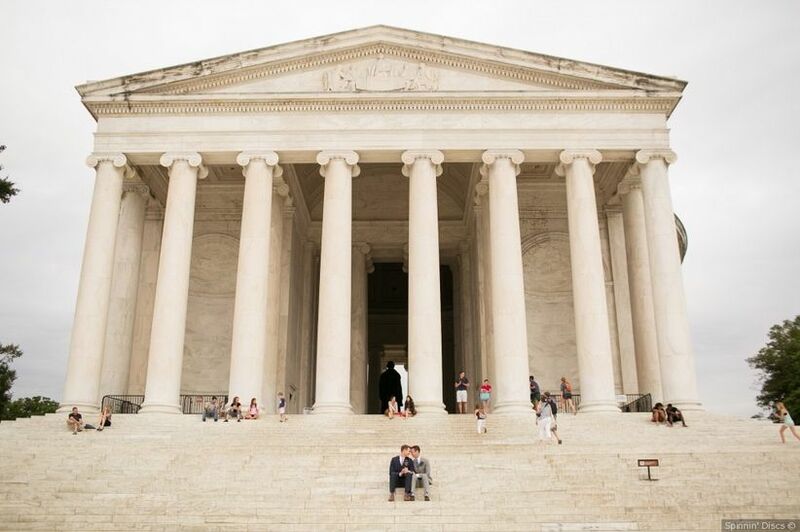 Those hosting a Washington, D.C. wedding can take advantage of some helpful marriage license laws—there’s no waiting period between receiving your license and when you can actually wed, and D.C. marriage licenses do not expire. Identification Needed: A valid driver’s license, state ID, military ID, passport, or birth certificate is required. State Residency: There is no residency requirement. Age Requirement: You must be at least 18 years of age to be married in DC without parental consent. License Expiration: Once issued the marriage license will not expire. Required Wait Time: There is no required wait time in DC. Proxy Marriages Legal: Yes. A third party can apply on the couple’s behalf and must bring proper ID for the couple as well as the fee. 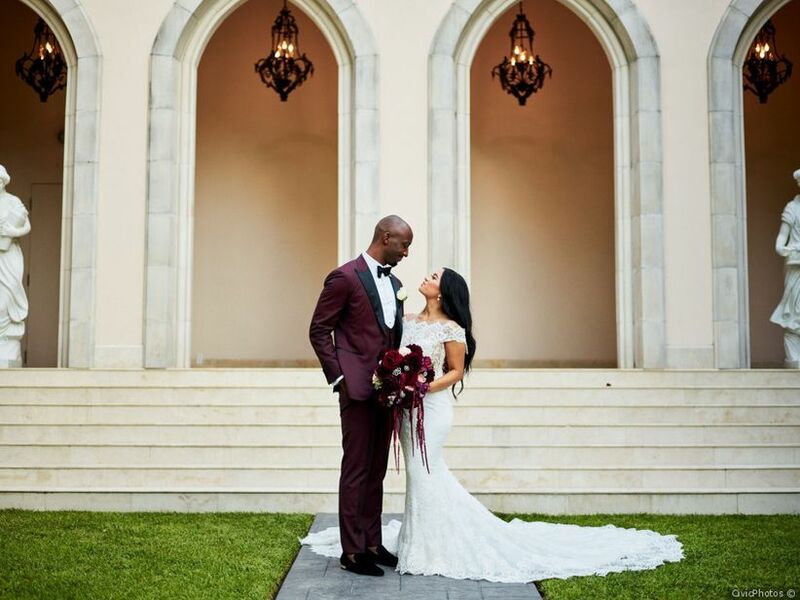 Florida is a popular spot for a destination wedding, whether you’re opting for Jacksonville, Orlando, Miami, the Keys, Tampa, or elsewhere in the Sunshine State. When it comes to marriage laws, Florida makes it easy for non-Florida residents to wed. While there’s a three-day waiting period on marriage licenses for Florida residents who have no taken a premarital course, that waiting period is waived for non-residents. Identification Needed: Valid photo identification is required (driver’s license, state ID card, passport, or 1-94 card) along with your social security number. You may also be asked for a certified copy of your birth certificate. State Residency: You don’t have to be a state resident. Age Requirement: Both individuals must be 18 years of age or older to be married without parental consent. No one under the age of 16 can be married in Florida. License Expiration: A marriage license in Florida will be valid for 60 days after it has been issued. Required Wait Time: There is a 3-day required wait time for Florida residents who have not completed premarital course. There is no required waiting period for non-Florida residents. Whether you’re looking for a rustic barn venue, a unique urban space, a sprawling estate, or a relaxed beach, Georgia weddings have it all! From Savannah to Atlanta and beyond, locals and out-of-towners alike will find lots to do in the Peach State. Identification Needed: A valid form of photo identification is required when submitting the marriage license application. State Residency: There is no residency requirement. However, for non-residents, you must apply in the county where you marriage is being performed. Age Requirement: Both members of the couple must be 18 or older to be married without parental consent. If either member appears to be under the age of 25, the clerk may require a proof of age. No one under the age of 16 will be issued a marriage license. License Expiration: The license will not expire once it has been issued. Required Wait Time: There is no required waiting period. 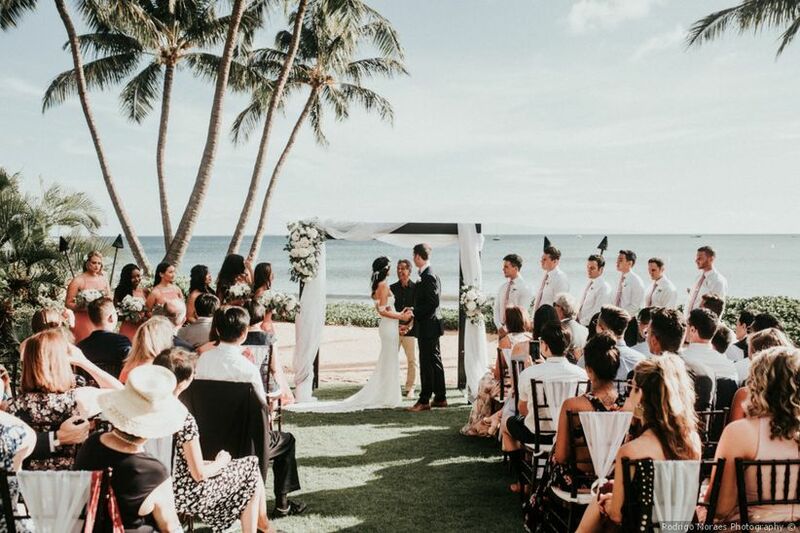 Hawaii weddings are all about embracing the aloha spirit, and many couples from the mainland head to the islands for a unique and laid-back destination wedding experience. No matter which Hawaiian island you pick, there is no waiting period for marriage licenses, though licenses are only valid for 30 days. Identification Needed: Valid identification and proof of age is required. State Residency: You don’t have be a resident to receive a marriage license. Age Requirement: 18 years of age without parental consent. Minimum age to be married is 15 with written consent from parent/guardian as well as written approval from a judge in family court. License Expiration: A marriage license in Hawaii is valid for 30 days on any of the islands. Required Wait Time: There is not a required waiting period. 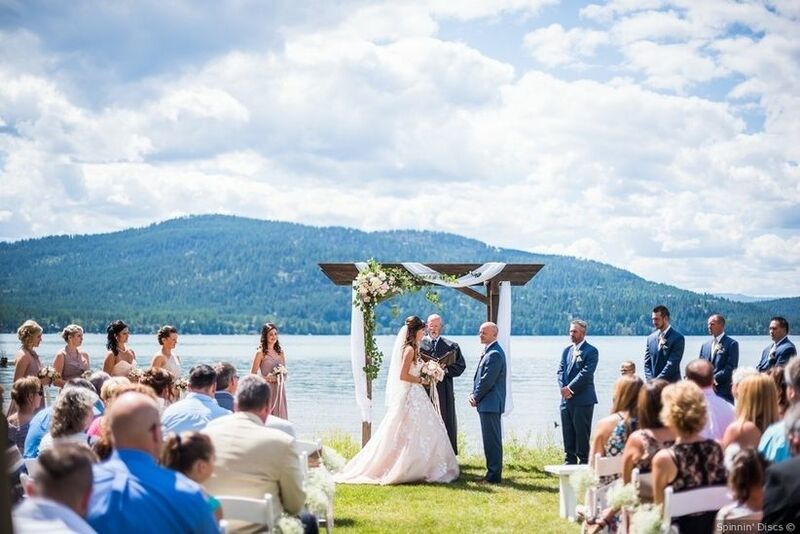 Couples looking to embrace nature and beautiful scenery on their big day might want to consider an Idaho wedding. 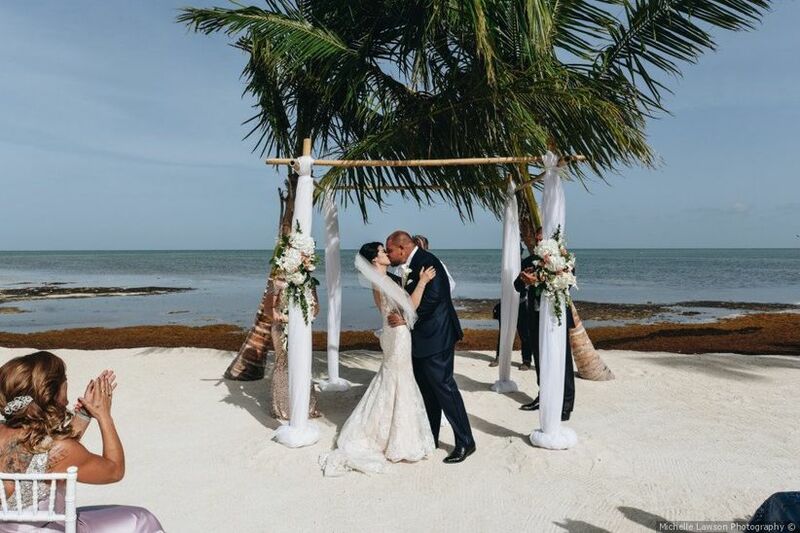 This uncrowded state allows for peace and serenity for couples looking for a true wedding escape. Identification Needed: Both members must have a valid form of ID as well as an original birth certificate or certified copy. State Residency: State residency is not required. Age Requirement: Both partners must be 18 years of age or older to get married without parental consent. Between the ages of 16 and 17, individuals must be accompanied by a parent or legal guardian. Anyone under 16 must obtain permission from the Court. License Expiration: There is no expiration date once the license has been issued. Witnesses Needed: Witnesses aren’t required. 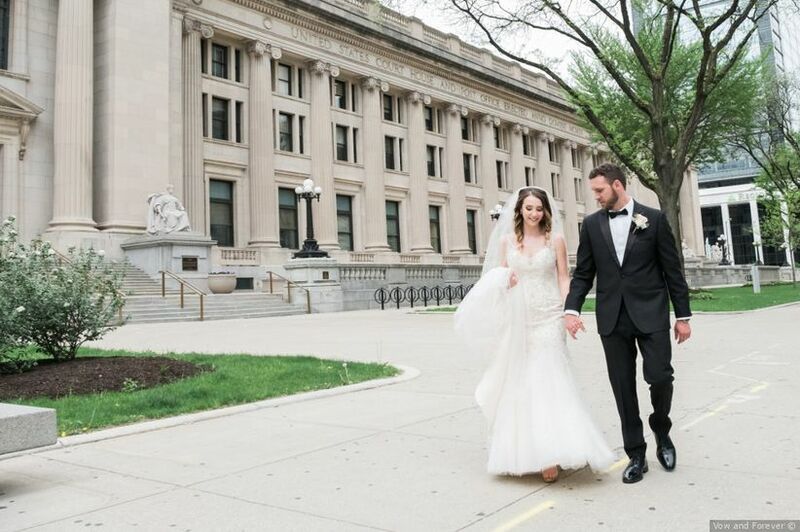 If you’re looking for a Midwestern vibe for your big day, there’s no place like Illinois! From the hustle and bustle of Chicago to the more rural areas of the state, there’s so much to love about hosting a wedding in Illinois. Identification Needed: Valid, up to date, photo ID required. State Residency: You don’t have to be a resident of Illinois to get a marriage license. Age Requirement: Both partners must be over the age of 18 to be married without parental consent. Between the ages of 16-18, parental consent is required. 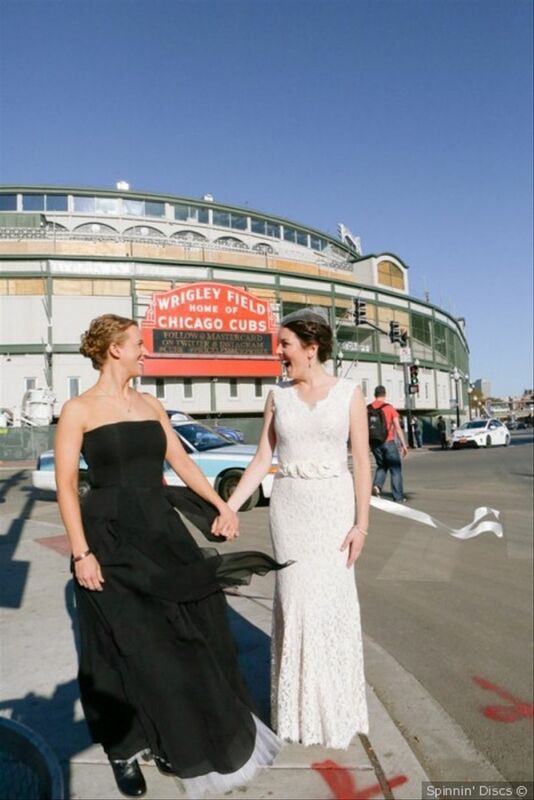 No one under the age of 16 can be married in Illinois. License Expiration: The license is valid for 60 days once it has been issued. Required Wait Time: There is a 24 hour waiting period between submitting the application and receiving your marriage certificate. With no waiting period and a 60-day expiration period, it’s easy to legally wed in Indiana, whether you’re a local or from out of town. However, if you’re from out of town, be aware that you must apply for a marriage license in the town when your wedding is taking place. Identification Needed: When applying in Indiana, you must have one of the following to prove identity and age: current and valid driver’s license, state issued ID, passport, or birth certificate. State Residency: State residency is not required. However, non-residents must apply where their wedding is taking place. Age Requirement: Legal age is 18 years old. Individuals 17 years old must have both parents/guardians present to sign consent. Under 17, both parties must go through a court process. License Expiration: The license will expire in 60 days after it has been issued. Required Wait Time: No required wait time. 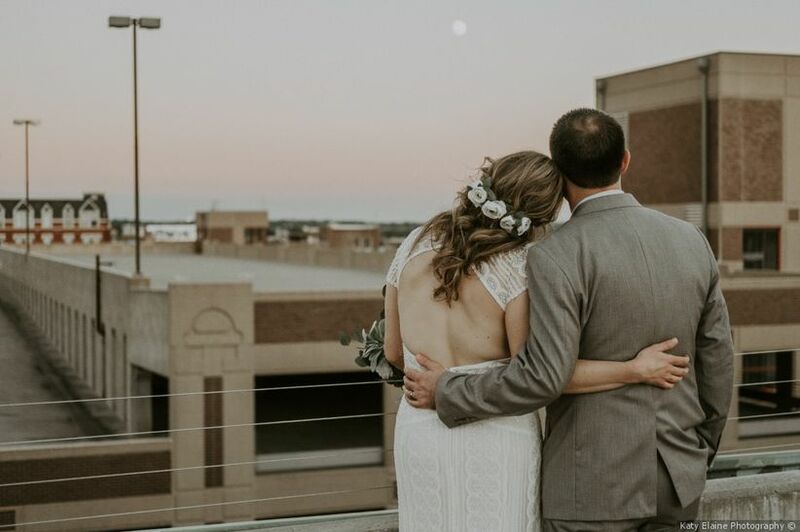 Iowa weddings are ideal for couples who want a more pastoral setting for their special day, though cities like Des Moines and Cedar Rapids offer more urban venues. Note that there is a three business day waiting period for marriage licenses, so don’t delay in applying for one if you’re hosting an Iowa wedding! Identification Needed: Both parties will need to provide photo ID. State Residency: Being a state resident isn’t required. Age Requirement: Legal age is 18. Partners between 16-17 can only get married with special permission from a judge and one parent/guardian must be present. 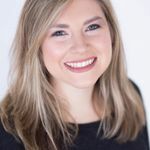 License Expiration: There is no expiration date for the marriage license unless it isn’t picked up within six months from the date of application. Required Wait Time: There is a waiting period of 3 business days before license is valid and the actual marriage can occur. Proxy Marriages Legal: No. However, if one person can’t be present, they can sign the license application before a Notary Public at a different location. Witnesses Needed: One witness over the age of 18 is required. Kansas weddings truly embody the Midwestern spirit. 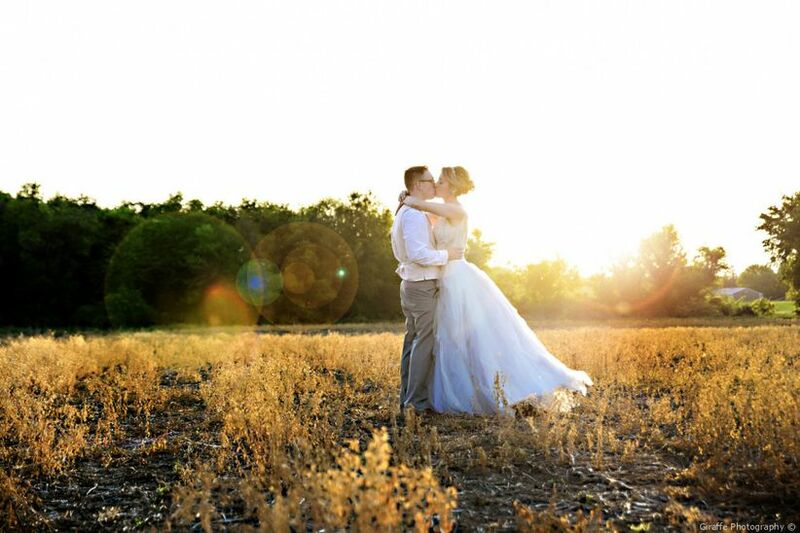 Whether a barn wedding or a grand estate is more your style, you’ll find a lovely setting for your big day in the Sunflower State. Identification Needed: A photo ID and social security card are required. State Residency: You don’t have to be a resident. Age Requirement: Both parties must be 18 years of age to be married without parental consent. The minimum age to get married is 15 and those partners must have parent/guardian consent and consent from a judge. License Expiration: The license will expire 6 months after the issued date. Required Wait Time: There is a waiting period of 3 business days. Witnesses Needed: Witnesses are needed and must be over 18 years of age. From Lexington to Louisville and everywhere in between, the Bluegrass State is a favorite for couples looking for a relaxed Southern vibe on their big day. Kentucky weddings are known for its beautiful natural scenery, so couples can enjoy some truly spectacular photo backdrops here! Identification Needed: Both parties must present photo ID, original birth certificate, and social security card. State Residency: You don’t have to be a resident to receive a marriage license. Age Requirement: Legal age is 18. Individuals under age of 18 must have parental consent and be issued in the county where the couple lives. Required Wait Time: There is no required wait time. Witnesses Needed: Two witnesses, other than the couple, must be present. Let the good times roll! 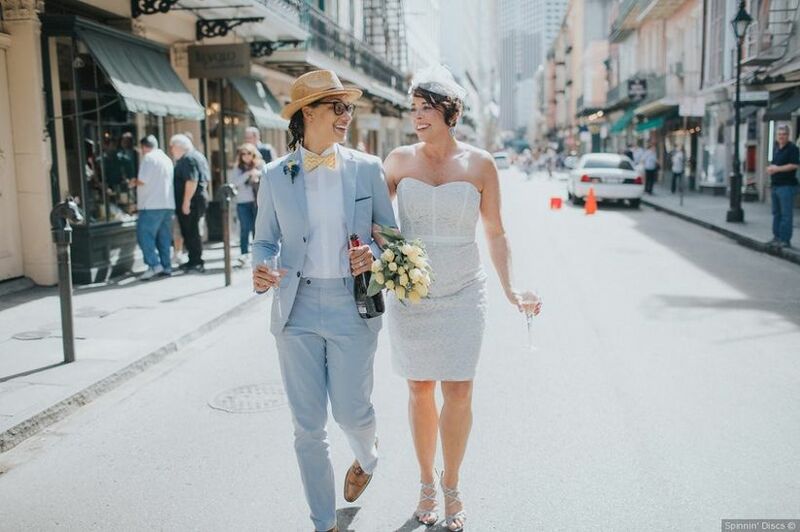 In Louisiana, weddings are all about celebrating the Mardi Gras spirit, whether you’re marrying in New Orleans or not. Louisiana weddings have customs all their own, from second lines to king cakes, and more! Identification Needed: Photo identification is required. State Residency: You don’t have to be a resident of the state. Age Requirement: Legal age to marry is 18. The minimum age to marry is 16 and both parents must be present at the time of the application. License Expiration: The license will expire in 30 days after it’s been issued. Required Wait Time: There is a required 72 hour wait period between the time the license is issued and the ceremony. Witnesses Needed: Two witnesses are required to sign the license at the ceremony. 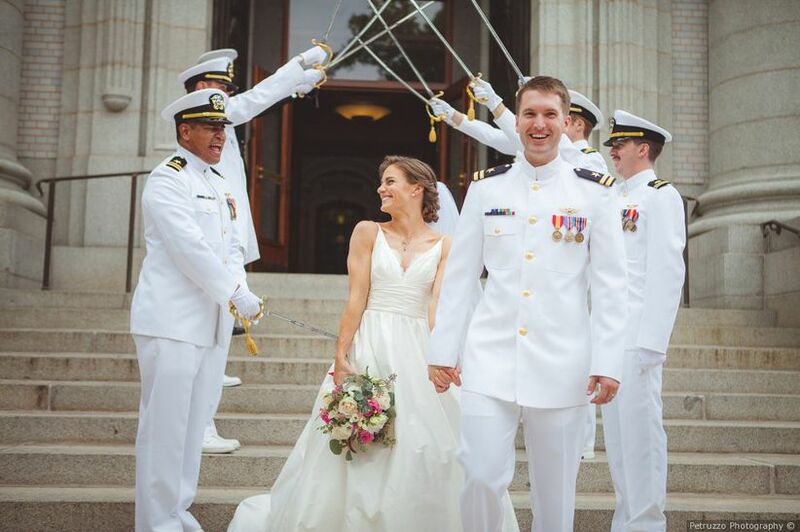 Whether you’re dreaming of a rustic barn wedding or a nautical seaside event, Maine has it all! It’s a popular spot for New England destination weddings, especially in the late summer and early fall. Identification Needed: Both partners must have photo ID. State Residency: You don’t need to be a resident. Age Requirement:Legal age is 18. Anyone under the age of 18 must have parental consent and anyone 16 years old must notify a judge. License Expiration: The license is valid for 90 days. Witnesses Needed: The ceremony must be witnessed by two people other than the officiant. From Baltimore to the Washington, DC suburbs, Maryland offers a wide variety of settings for your big day. Know however, that Maryland weddings are among the most expensive in the country, as the average cost for a Baltimore-area wedding is $35,000 and in the DC area, it’s even higher at $39,000. Identification Needed: Photo identification is required as well as knowing your social security number. State Residency: You don’t need to be a resident to be married in Maryland. Age Requirement: The legal age is 18. Between the ages of 15-17, individuals can’t get married without parental/guardian consent and proof the the female is pregnant or has given birth to a child. License Expiration: The license will expire in 6 months. Required Wait Time: There is a waiting period of 48 hours. Massachusetts offers a wide range of options for weddings. 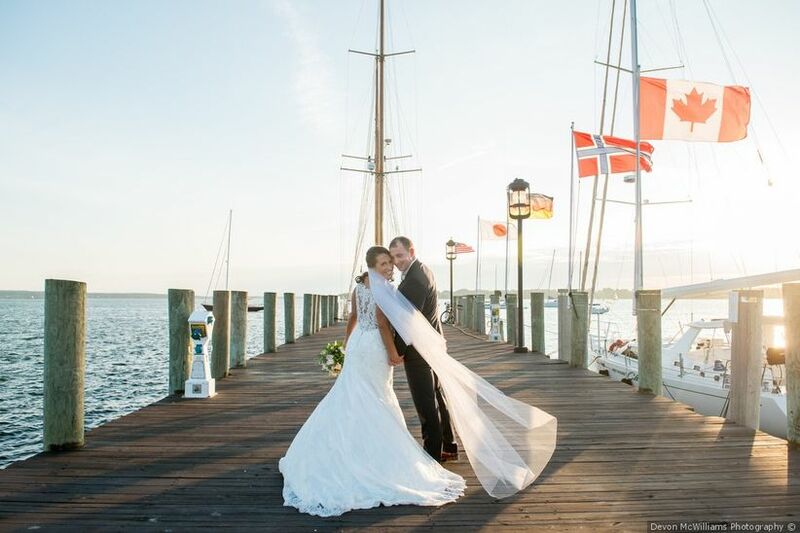 Couples dreaming of a nautical or beachy wedding might opt for a Cape Cod event, while those looking for a city-chic vibe would enjoy hosting a Boston wedding. And for couples hoping for a more rustic or rural event, the Berkshires in Western Massachusetts offers some truly spectacular scenery. Identification Needed: Both parties must have valid government issued photo ID as well as their social security numbers. State Residency: You don’t have to be a resident to be married in the state but you must have a valid Massachusetts marriage license. Age Requirement: Both parties must be 18 or older to get married. Minors must fill out an application with the court. Required Wait Time: There is a mandatory waiting period of 3 days, not including the day of the application. Proxy Marriages Legal: No. Unless one of the partners is in the military or incarcerated. Intentions can be filed by either party as long as one of them is a resident of Massachusetts. 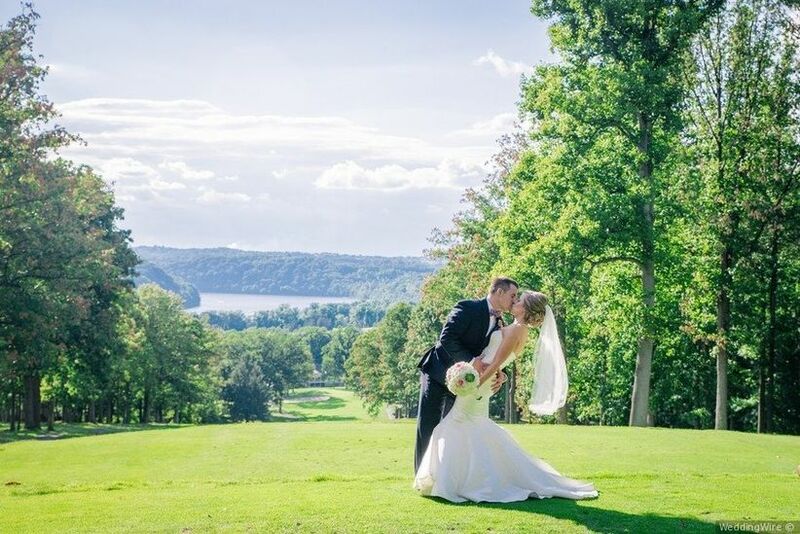 From the Detroit to the Great Lakes, Michigan features numerous settings for your big day. If you’re getting married in Michigan, be aware that residents must file their marriage license application in the county where they reside and non-residents need to file in the county where they’re marrying. There’s also a three-day waiting period between applying for a marriage licenses and its issuing, and the marriage license is only valid for 33 days. Identification Needed: Both parties must have a valid photo ID with their current address, birth certificate/ valid passport, and social security numbers. State Residency: Residents must file their application in the county where they reside. Non-residents must file their application in the county where they are going to be married. Age Requirement: The legal age to get married is 18. If someone is 16 or 17, they can get married with parental consent. If one individual is 15 or younger, court approval is also needed. License Expiration: The license is valid for 33 days. Required Wait Time: There is a 3 day waiting period between the application submission and the license is issued. need to be present and have all the required paperwork along with a copy of the other person’s photo ID. Witnesses Needed: Michigan requires two witnesses to sign the marriage license. 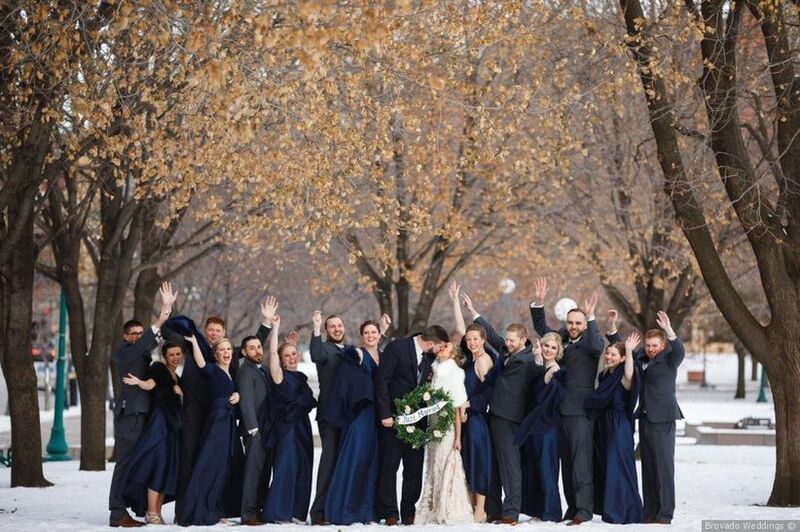 If you’re looking for an affordable city to marry in, you might take a gander at the Minneapolis-St. Paul area, where the average cost of a wedding is $23,000, well under the nearly $30,000 national average. While winters may be harsh in Minnesota, there are lots of lovely venues for events in all seasons. Identification Needed: Both parties must some form of photo identification (i.e. driver’s license or state ID). Age Requirement: The legal age to get married without parental consent or court approval is 18. License Expiration: The license is valid for 6 months. Required Wait Time: There is no waiting period. Proxy Marriages Legal: No. However, if only one of the partners is available, the other must fill out a supplemental form and have it notarized. Witnesses Needed: Must be witnessed by two adults 16 years of age or older. 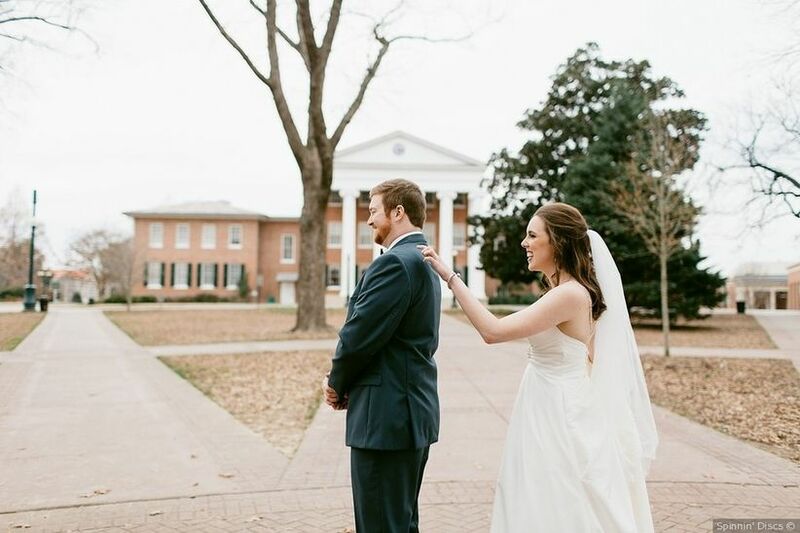 One of Mississippi’s nicknames is the Hospitality State, and that friendly Southern charm will make your wedding weekend one to remember. When applying for a marriage license in Mississippi, know that there’s no waiting period nor an expiration date, making marrying in Mississippi a breeze. Identification Needed: Both parties must present a valid form of identification. Age Requirement: The legal age to marry is 21. Individuals under the age of 21, parental consent is needed. A license won’t be issued unless the male is at least 17 and the female is at least 15. License Expiration: The license has no expiration date. Required Wait Time: There is no wait time. The license is effective immediately. The famed Gateway Arch welcomes visitors to St. Louis, and this same welcoming spirit shines through that every Missouri wedding. 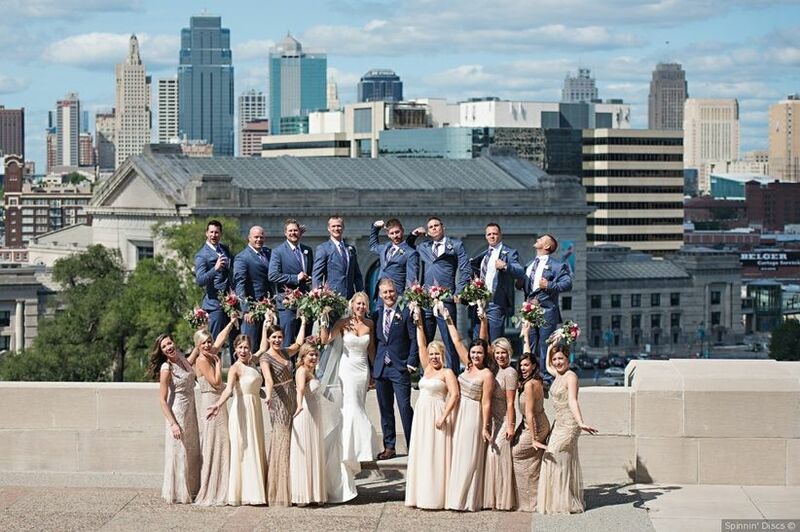 Whether you’re planning a city-chic Kansas City or St. Louis event or a more rustic affair in the more rural areas of the state, you and your guests are sure to have an incredible time in the Show-Me State. Identification Needed: Photo identification and proof of age are required for all parties. Age Requirement: For individuals 19 years of age or older, a valid government issued photo ID is required along with their social security card. Under the age of 19, both parties need their birth certificate as well. For people between the ages of 16-17, parental consent must also be given. Marriage licenses will not be given if one party is 21 years old or and the other is under 18. License Expiration: The license is valid for 30 days. 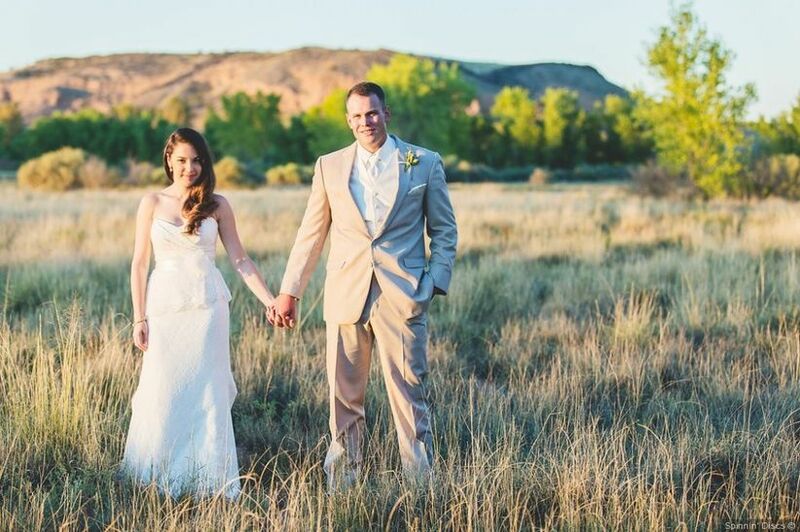 Couples who want serenity and abundant natural beauty on their big day should plan a Montana wedding. 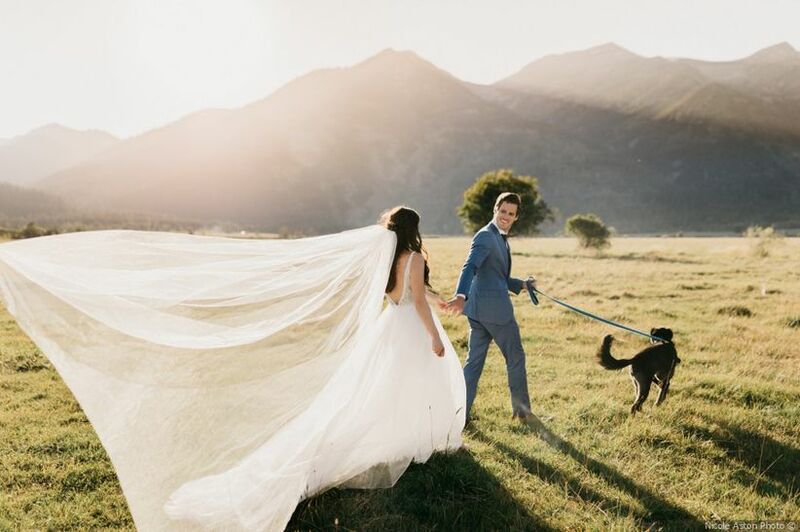 The gorgeous mountains and lakes make this a favorite escape for celebrities from Justin Timberlake to the Kardashians, but it’s also a scenic spot for weddings. Identification Needed: Both parties need to provide photo identification and proof of age. State Residency: Non-residents must obtain a license in the county where they are getting married. Age Requirement: You must be 18 years old. Couples under that must have parental consent, along with two counselling sessions, and court approval. License Expiration: The license will expire in 180 days. Blood Test Requirement: Women under the age of 50 are required to take a Rubella blood test unless they request to waive it. Folks from the Cornhusker State have numerous options to choose from when it comes to wedding venues. From the more modern spaces in Omaha to more rustic barn venues in the rural areas, you’ll find lots of places to marry in Nebraska. Identification Needed: Both partners will need a valid photo ID and proof of age. Age Requirement: You must be 19 years old to legally marry. If under 19, a notarized consent form must be signed by both parents/guardians. No one under the age of 17 can be married in Nebraska. License Expiration: The license is valid for one year from the date it’s been issued. Witnesses Needed: Two witnesses are required to be present at the ceremony. 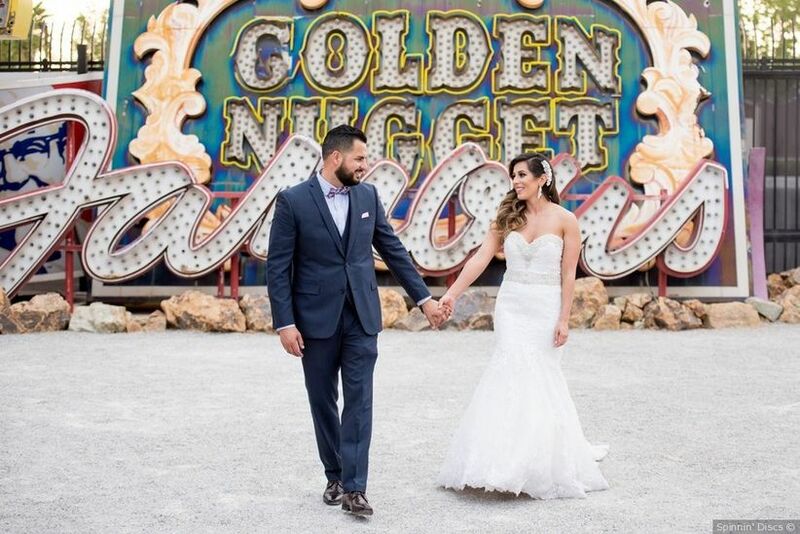 Couples looking for a quickie casino wedding might head to Las Vegas, but there’s a lot more to Nevada weddings than just the bright lights of Sin City. From Lake Tahoe to the unique deserts, you’ll be wowed at the myriad options in Nevada. Another plus: There’s no waiting period for marriage licenses, which are valid for one year after the issue date. Identification Needed: Both partners will need to provide valid government issued photo ID. Age Requirement: You must be 18 years old to legally marry. If you are between 16-17, one legal guardian/parent must be present. Under the age of 16 requires a court order. License Expiration: The license is valid for one year from the date it is issued. 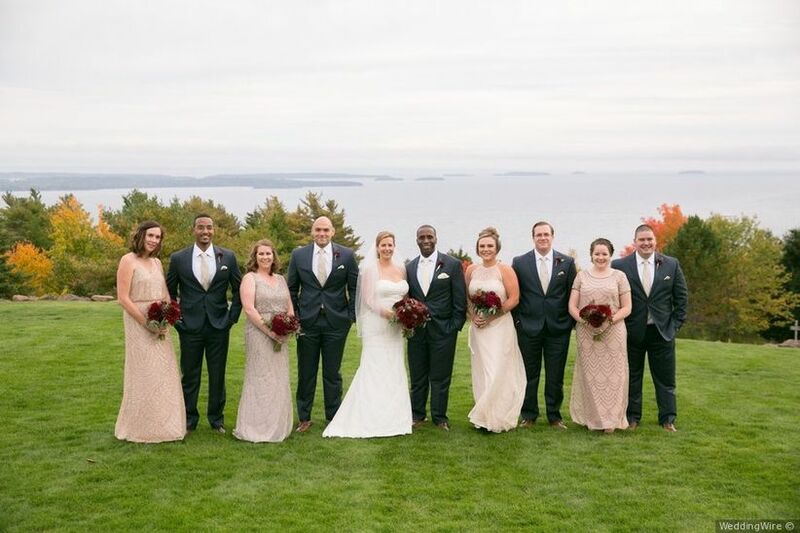 With its Atlantic coastline, stunning mountains, and more, New Hampshire offers some truly stunning scenery for couples hosting a New England wedding. 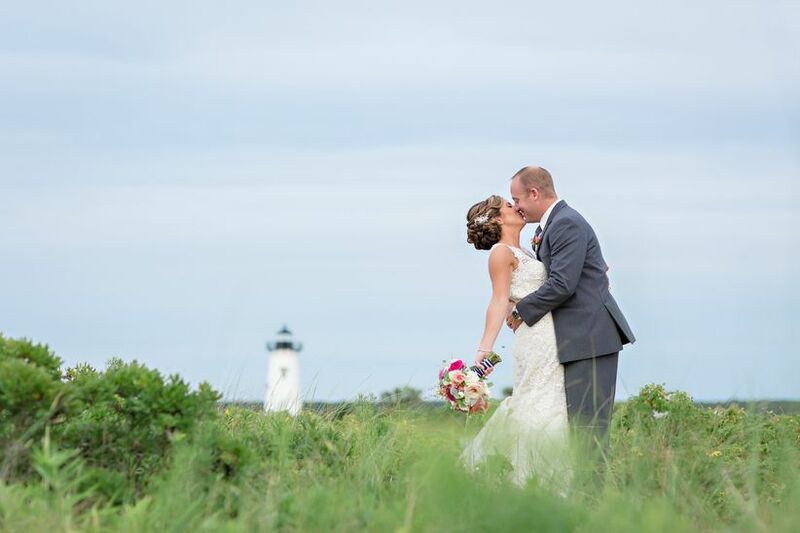 Here, you’ll find ski resorts, lush gardens, seaside spaces, and more, all ready to host your New Hampshire wedding. Identification Needed: Both partners are required to provide a photo identification and proof of age. State Residency: Residency isn’t required. Age Requirement: The minimum age to marry in New Hampshire is 16. License Expiration: The license will expire 90 days from the filing of the application. Required Wait Time: There is no waiting period to receive the license but it is not valid for the first 3 days after it has been issued. While New Jersey is often favored for its close proximity to NYC and Philadelphia, the Garden State is a wedding destination all its own. 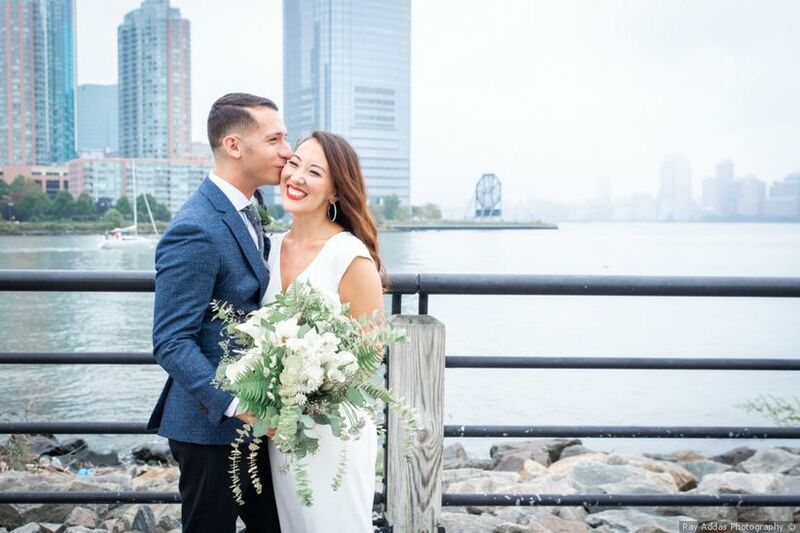 If you’re getting married in New Jersey, you’ll be delighted at the variety of venues, from barns to gardens, banquet halls to hotels, beachside event spaces to grand historic mansions, and more. Identification Needed: You will need a photo ID and your social security card/number. Age Requirement: You must be 18 years old to be married without parental consent. Required Wait Time: There is a 72 hour waiting period. Witnesses Needed: You will need a witness ,who is over the age of 18, present when applying for a marriage license. New Mexico weddings have a style all their own, embracing the mix of Mexican and American cultures to create a unique experience your guests will never forget. When marrying in New Mexico, be aware that though your marriage license will never expire, it must be returned within 90 days after your ceremony. Identification Needed: Both parties must present a valid government issued photo ID. Age Requirement: You must be 18 years old to get married without parental consent. License Expiration: The license has no expiration but must be returned 90 days after the ceremony. Yes, we all know that New York City weddings are expensive—like $50,000 expensive, on average. However, New York is a big state, and there’s lots more to it than just the Big Apple. From Long Island to Upstate New York, you’ll find a variety of venues at a variety of price points throughout the Empire State. Identification Needed: Both partners must present valid and current photo identification. Age Requirement: You must be 18 years or older to be married without parental consent. License Expiration: The license is valid for 60 days or 180 days for active military personnel. Required Wait Time: There is a 24-hour wait period before the wedding ceremony can be performed. Witnesses Needed: One person must witness your signature and be at least 18 years old. 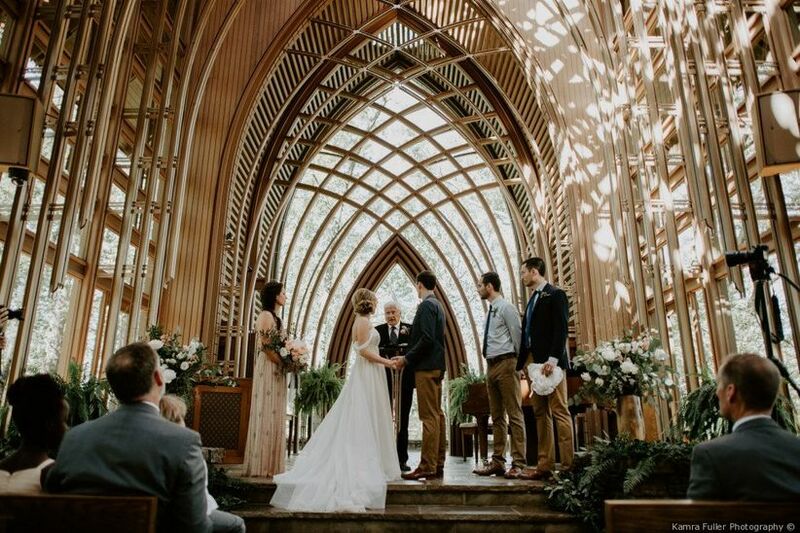 From cities like Charlotte and Raleigh to the more mountainous and rural settings near quirky Asheville, you’re sure to find your dream wedding venue in North Carolina. North Carolina weddings feature abundant Southern charm, and are truly a photographer’s dream. Identification Needed: Both parties must provide a valid government issued photo ID and their social security card or tax form with number and name. Age Requirement: Individuals over the age of 18 can marry without parental consent. License Expiration: The license will expire in 60 days. Witnesses Needed: Two witnesses are required at all marriage ceremonies. 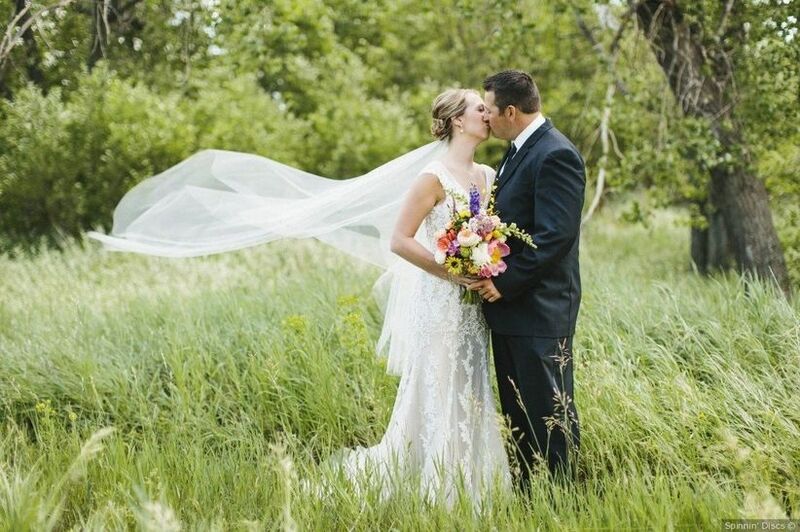 Yes, North Dakota is one of the least populous states in the U.S., but that makes it an even more ideal setting for couples looking for beautiful scenery and a not-crowded setting for their big day. Know that if you’re marrying in North Dakota, there’s no waiting period for receiving your marriage license, and it’s valid for just 30 days. Identification Needed: You must have a valid government issued photo ID. Age Requirement: The legal age to marry, without parental consent, is 18. Witnesses Needed: Two witnesses must be present when the application is filed. 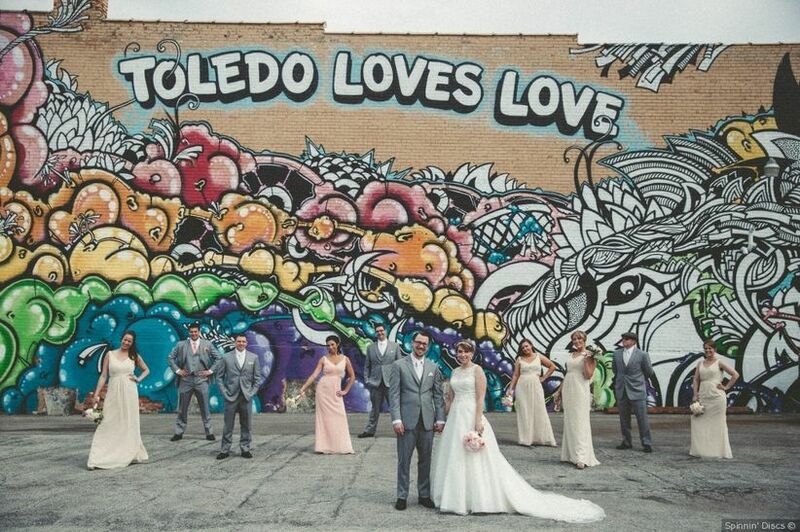 From Cleveland to Cincinnati and beyond, there’s so much to love about getting married in Ohio. 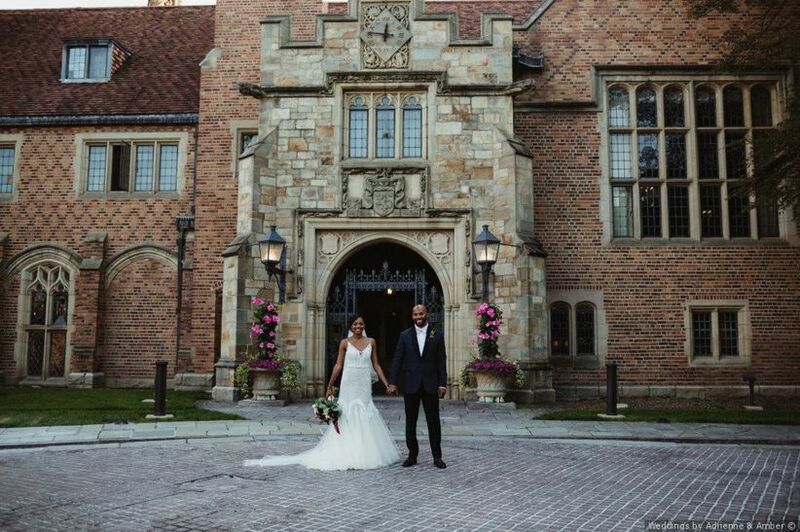 The Buckeye State has a rich history, which shines through in its many unique wedding venues. Ohio is also one of the most affordable places in the country to host a wedding, as the average cost of a Cleveland wedding is $22,000, well under the $30,000 national average. Identification Needed: You must have valid photo ID and know your social security numbers. State Residency: If you’re a resident you must apply in the county where you live. If you are a non-resident, you must apply where the ceremony is taking place. Age Requirement: You must be 18 years old to marry without parental consent. License Expiration: The license is valid for 60 days. 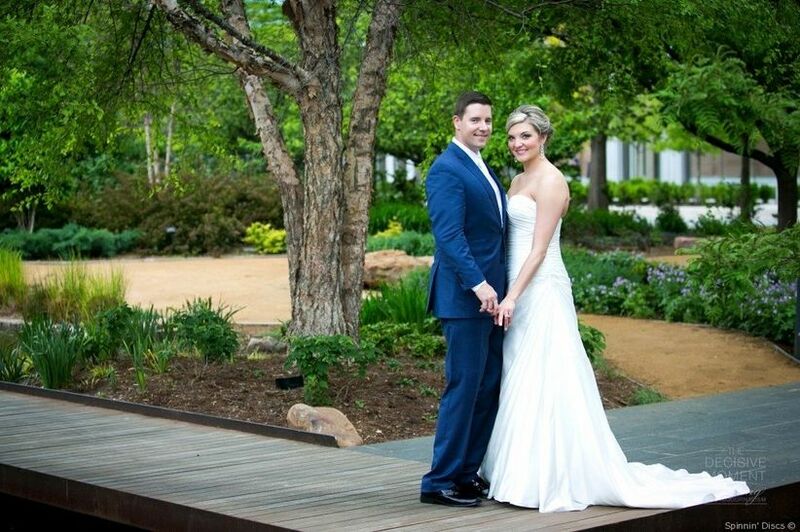 The Sooner State is an ideal location for a wedding, whether it’s rustic, classic, or modern. If you’re planning an Oklahoma wedding, you’ll be wowed by the variety of venue options, including industrial spaces, hotels, barns, gardens, and more. Identification Needed: Each party must have a valid form of ID and if they aren’t from the US, they must also have a birth certificate translated into English. State Residency: You don’t need to be a resident and the license can be used statewide. License Expiration: The license is valid for 10 days. Required Wait Time: There is no wait time if you are over the age of 18. If you’re under the age of 18, there is a 72 hour waiting period. Witnesses Needed: Two witness signatures are required. When it comes to incredible scenery, there’s nothing quite like the Pacific Northwest. So it should come as no surprise that couples are clamoring to host their wedding in Oregon. 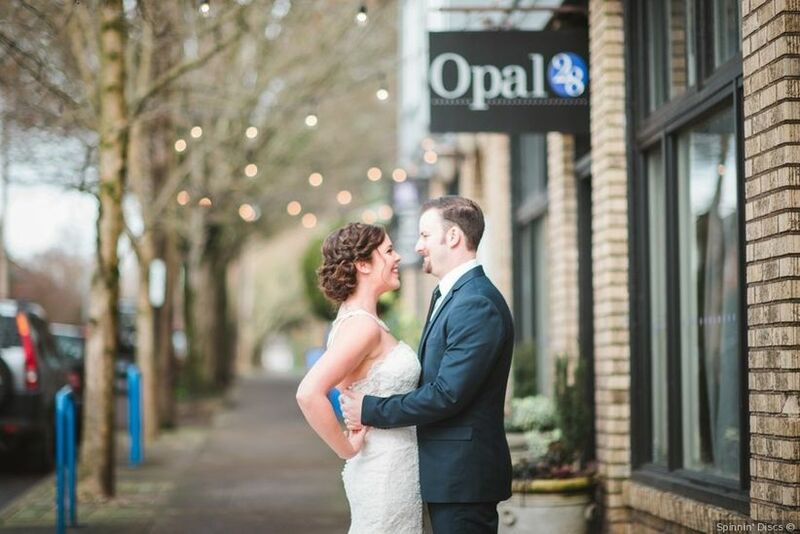 Whether you’re planning a Portland wedding or a more nature-inspired event in the surrounding area, you and your guests will be blown away by Oregon’s beauty. Identification Needed: Both parties will need valid forms of photo ID. Age Requirement: You must be 18 years of age to marry without parental consent. No one under the age of 17 can be married in Oregon. Required Wait Time: There is a waiting period of 3 days. Witnesses Needed: Two witnesses, who are at least 18 years old, must be present at the ceremony. 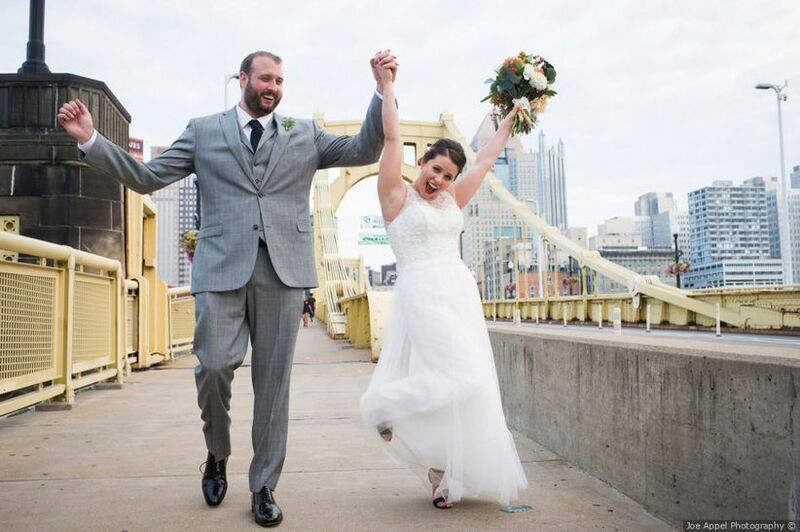 From Philadelphia to Pittsburgh, Lancaster County to the Poconos, you’ll be wowed by the variety of locations for a wedding in Pennsylvania. Whether you’re from the state or hosting a destination wedding here, you’ll want to know that there is a three-day waiting period between applying and receiving your marriage license, plus the license is valid for 60 days once it’s been issued. Identification Needed: Both parties will need photo ID and social security card. License Expiration: The license is valid for 60 days once it’s been issued. Required Wait Time: There is a 3 day waiting period between applying and receiving the license. 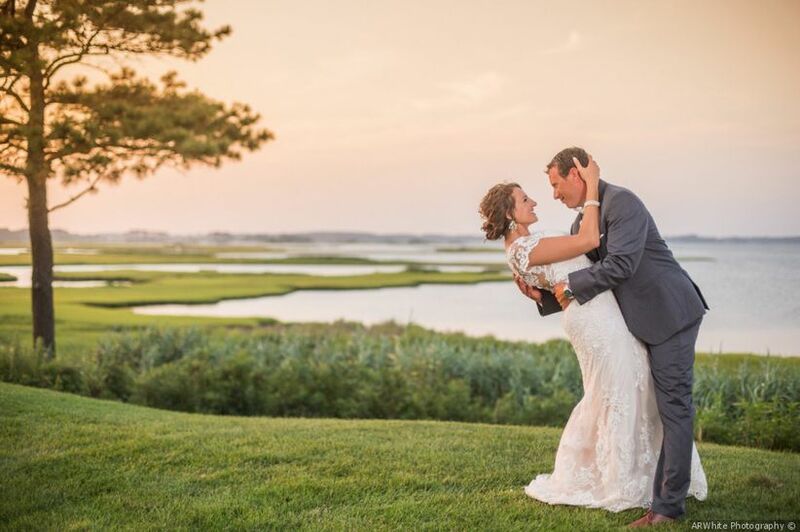 Yes, Rhode Island is the smallest state by land area in the U.S., but when it comes to incredible seaside wedding venues, it’s one of the best! 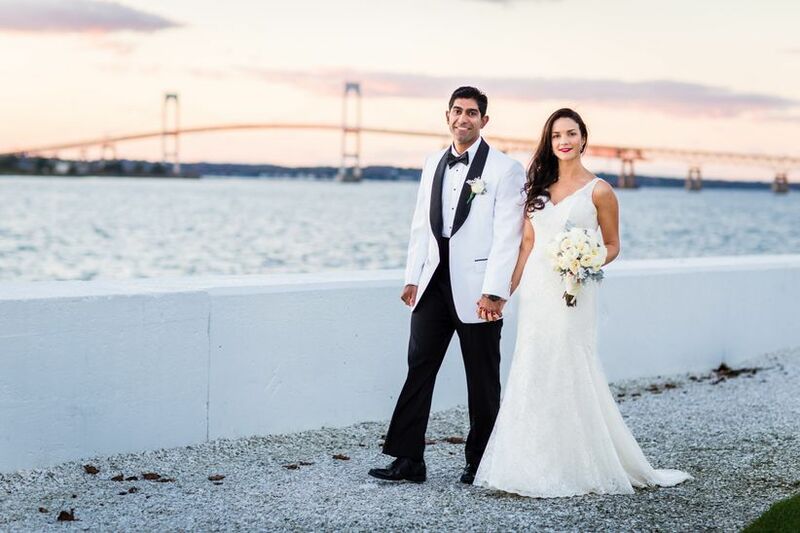 You’ll be wowed by all of the New England scenery and charm if you’re hosting a Rhode Island wedding. Identification Needed: Both parties must have a photo ID and birth certificates. State Residency: State residents must apply for their license in the city/town where they live. For non-residents, they must apply where the wedding will be taking place. License Expiration: The license will be valid for 90 days. Witnesses Needed: Two witnesses, over the age of 18, must be present at the ceremony. 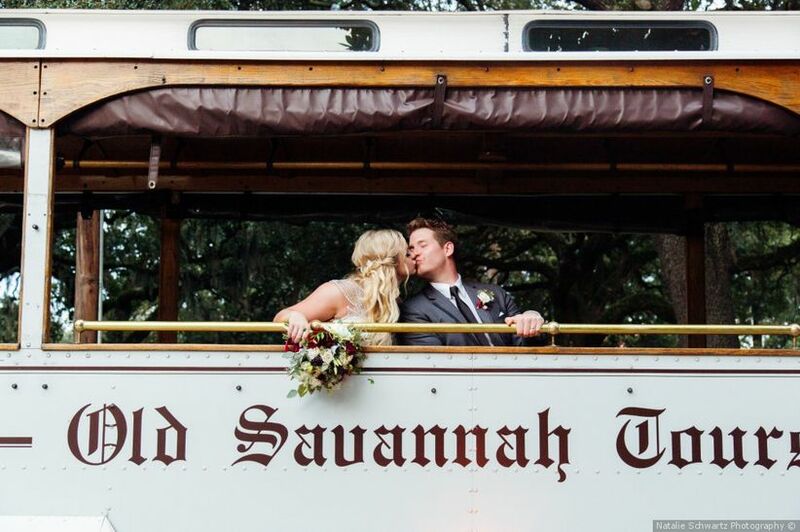 Many couples choose to host their destination weddings in South Carolina—and for good reason! Whether you’re planning a plantation wedding in Charleston, a beachy event on Kiawah Island or in Myrtle Beach, or a wedding elsewhere, you’re sure to find abundant Southern charm (and amazing food, natch!) here. If you’re planning a destination wedding in South Carolina, know that there’s a 24-hour waiting period between applying for and picking up your marriage license. Identification Needed: You and your partner must both have a valid form of photo ID and know your social security number. Age Requirement: Both parties must be 18 or older to get married without parental consent. License Expiration: The license will not expire. Required Wait Time: There is a 24-hour waiting period after the application is made before the license can be picked up by the couple. Witnesses Needed: No witnesses are required. Couples dreaming of a rural wedding with a woodsy, natural feel will feel right at home at a South Dakota wedding. Be aware, however, that while there’s no waiting period to receive your marriage license, the license is only valid for 20 days after it’s issued. Identification Needed: Both partners must have photo identification. Age Requirement: You must be 18 or older to be married without parental consent. License Expiration: The license is valid for 20 days. 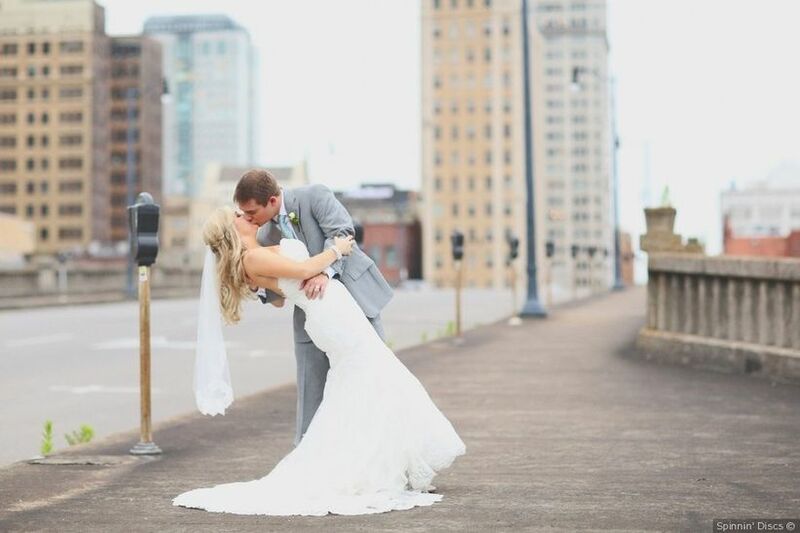 Nashville, Tennessee has been a trending wedding destination for a while now, but really the whole Volunteer State is ideal for weddings of all styles. Yes, you can host a Nashville wedding that’s sophisticated and modern, but there are also mansions, gardens, barns, and other venues to choose from. Identification Needed: You will need a form of photo ID as well as know you social security number (if applicable). Age Requirement: You must be 18 or older to get married without parental consent. Proxy Marriages Legal: No, unless an individual is incarcerated or has a disability, which prevents them from appearing. In that case, a notarized statement is required with the person’s name, age, and current address along with their next of kin’s information. 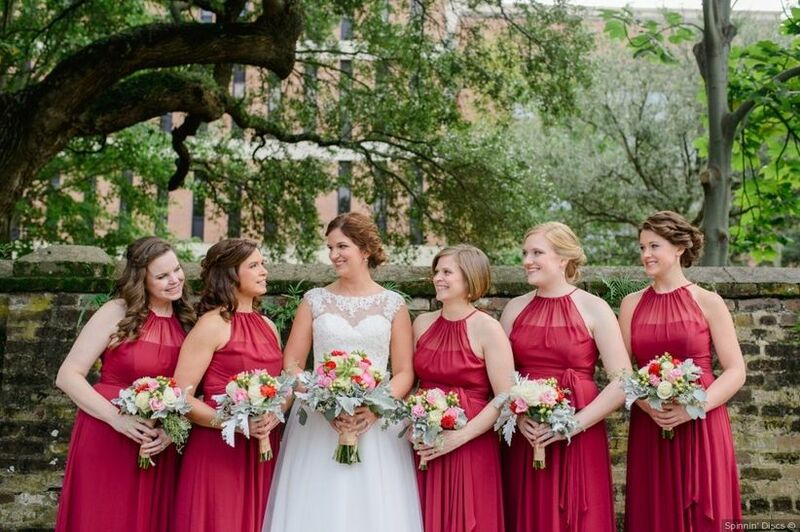 The Lonestar State is one of the largest in the U.S., meaning there are lots and lots of venues to choose from, whether you’re marrying in Hill Country, San Antonio, Houston, Dallas, Austin, El Paso. or elsewhere. If you’re hosting a Texas wedding, know that wedding costs vary depending on where you’re marrying in the state. For example, the average cost of a Houston wedding is higher than average, at $33,000, while weddings in Dallas average at around $30,000. Identification Needed: Both parties must have valid photo ID. Age Requirement: You must be 18 years to get married without parental consent. Required Wait Time: There is a 72 hour waiting period unless you are active military. Proxy Marriages Legal: Yes but only for active military members who are stationed outside of the country. 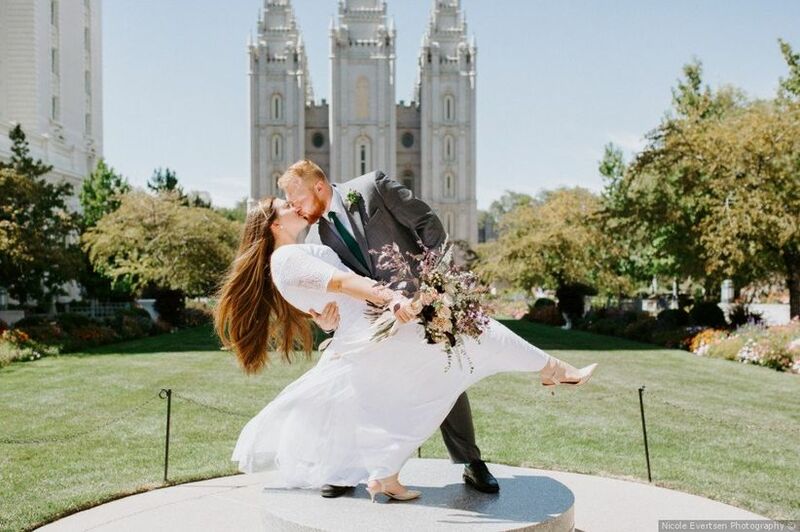 From Salt Lake City to the ski resorts around the state, there’s so much to love about Utah weddings. While there’s no waiting period between receiving your marriage license and when you can marry, marriage licenses are valid for just 30 days here. Identification Needed: You need to provide photo ID as well as your social security number. Age Requirement: Both partners must be 18 or older to be married without parental consent. Witnesses Needed: Two witnesses over the age of 18 must be present at the ceremony. Vermont is one of the smallest states by population in the U.S., but with the gorgeous Green Mountains, it’s also one of the most beautiful. 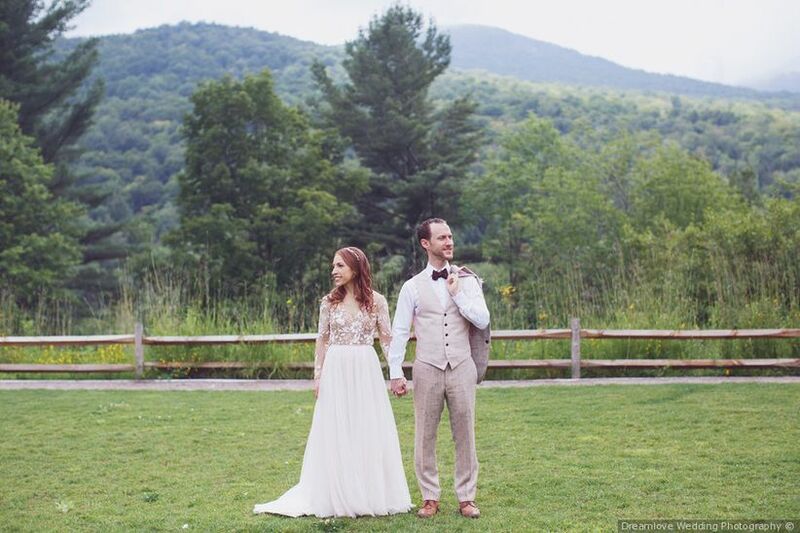 Couples flock to the Green Mountain State, especially in the warmer months, to host Vermont weddings with some truly spectacular backdrops in the country. Identification Needed: Both parties must bring a valid photo ID. State Residency: If you are a resident, you must get your license in the city/town where you reside. For non-residents, you can get your license from anywhere in the state. Age Requirement: You must be 18 years of age or older to get married without parental consent. 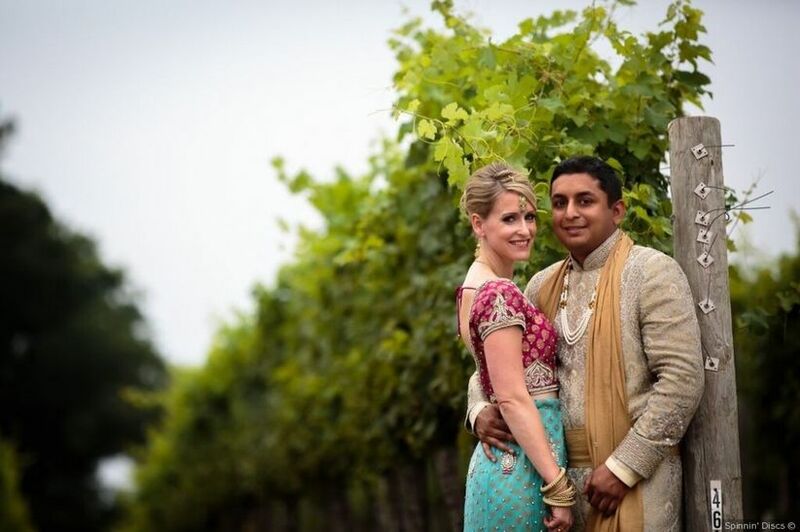 While California’s Napa Valley is the hub of wine production in the U.S., Virginia is becoming an East Coast hotspot for vineyards and wineries, making it a destination for some truly romantic weddings in the Charlottesville area. 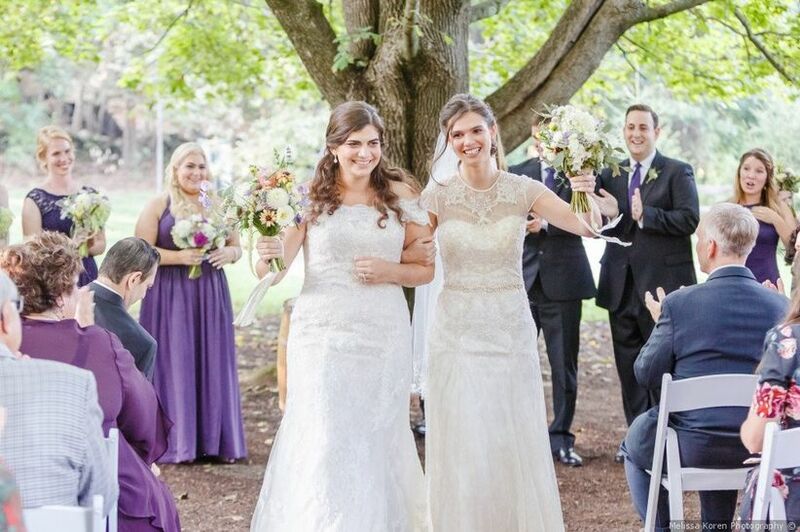 Richmond, Virginia Beach, and Hampton Roads are also popular places to wed in Virginia. Not only is Seattle home to some of the coolest wedding venues in the country, it’s also one of the more affordable places to marry, with an average wedding cost of $25,000. 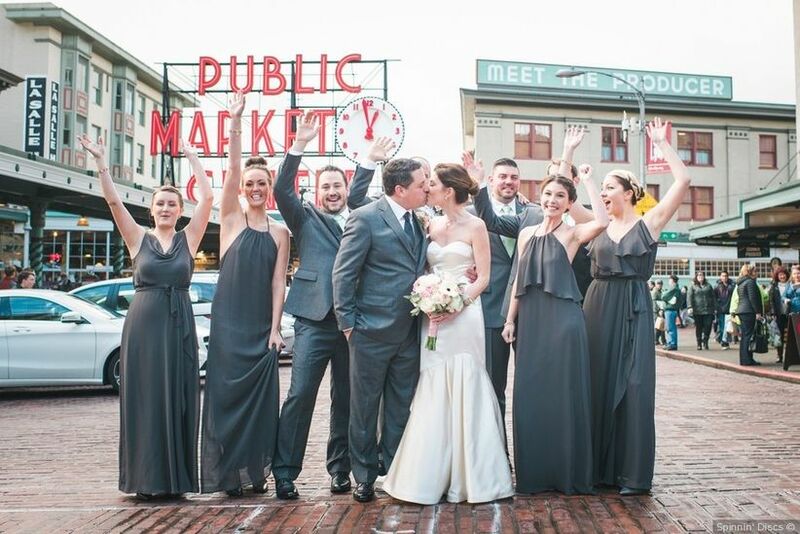 Whether you’re hosting a Seattle wedding or an event elsewhere in Washington State, your guests are sure to be grateful for bringing them to the amazing Pacific Northwest. Identification Needed: Both parties need photo ID with birthdate. Age Requirement: You must be 18 to be married without parental consent. Required Wait Time: There is a 3 day waiting period. Proxy Marriages Legal: No, unless you are both unable to apply at the same time, one person may fill out an absentee form. Witnesses Needed: Two witnesses must be present at the time of the ceremony. 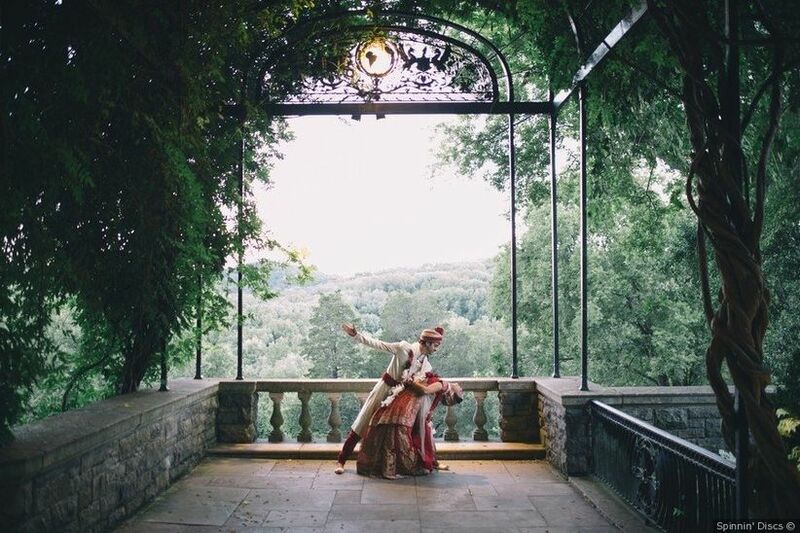 The mountainous state of West Virginia is ideal for couples looking for incredible backdrops for wedding photos, along with more rural settings to host their big day. West Virginia weddings can be held at a variety of venues from country clubs to resorts, farms, historic estates, and more. Identification Needed: Both partners will need a valid photo ID or certified copy of their birth certificate, social security numbers, and their parents' names. State Residency: If you are a resident, apply in the state where you reside. If not, you can apply anywhere statewide. Age Requirement: The legal age to marry is 18. Required Wait Time: There is no waiting period if the couple is over 18 years old. If the partners are under 18, there is a 72 hour waiting period. 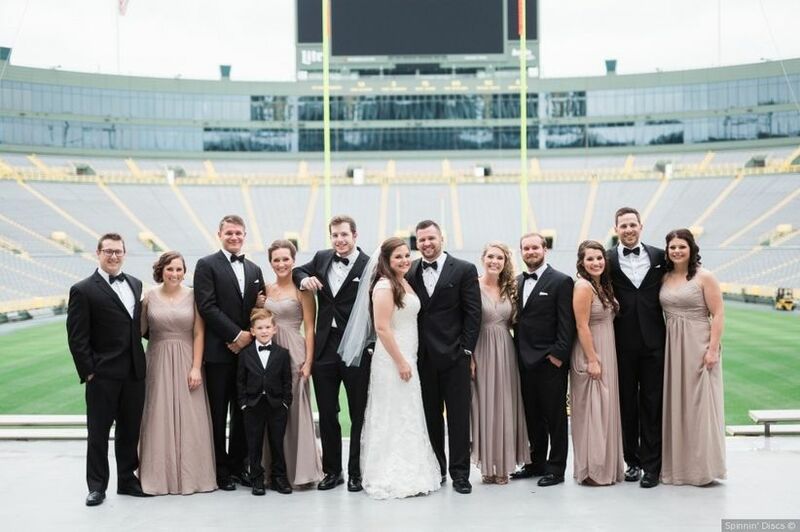 The Badger State is full of that Midwestern charm, and offers numerous venues to choose from, whether you’re marrying in Milwaukee, Madison, or elsewhere. If you’re hosting a Wisconsin wedding, note that this state has a five day waiting period between when you receive your license and when you can actually marry. Plus, your marriage license is valid for just 30 days. Identification Needed: Photo ID is required. 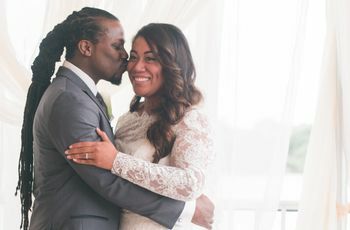 State Residency: Residents must apply in the county where they reside while non-residents must apply in the county where they plan to be married. Age Requirement: Legal age to marry is 18. Required Wait Time: There is a 5 day waiting period unless it’s waived for an additional cost. Witnesses Needed: Two adults must be present at the time of the ceremony. 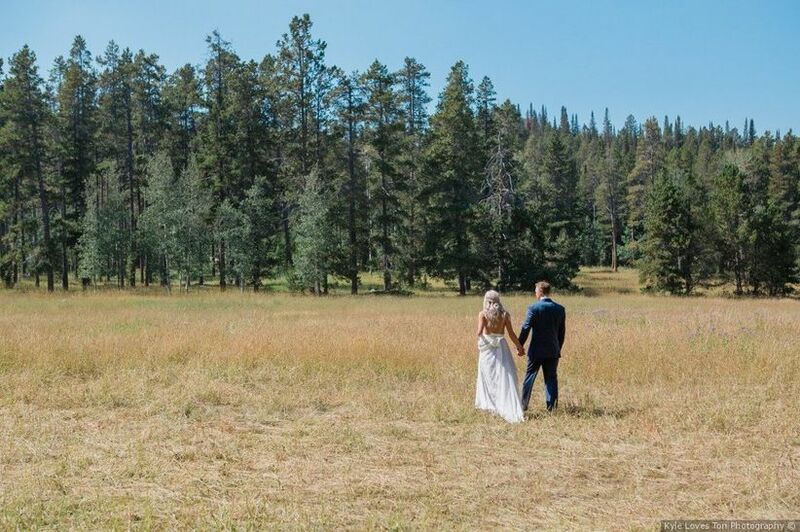 Wyoming has the smallest population of any state in the U.S., but with popular vacation spots like Jackson Hole and Yellowstone National Park, you’re sure to find some truly amazing and serene wedding venues here. Age Requirement: You must be 18 or older to be married in Wyoming without parental consent. License Expiration: The license is valid for one year. Witnesses Needed: Two witnesses are required to be at the ceremony.